Over the past few years, I’ve made some observations about the people I’ve worked and communicated with. Some of these people were colleagues, others acquaintances, and still others were simply bloggers that I look up to. I’m talking specifically of those people that are in my field of Network Engineering, and they all share a few traits in common. I’ve deemed a few of these traits to be important things to remember when trying to make yourself a better network engineer, and a better IT professional in general. Many network engineers get this right - at first. If you’re new to the industry, or you’re trying to get your resume to look a little better, you’re probably going to go for some certifications. It’s likely that you’ll go for Cisco’s CCNA certification right away, which is the right move - many jobs won’t even look at you until you at least have a CCNA, so this is the right move to make. However, a large number of aspiring engineers get this cert and probably get a related job, and then they’re done. The new job usually takes a decent chunk of time to get into, and the learning process fizzles out. It’s a pretty easy trap to fall into - why not spend as much time as possible in your new shiny job? And to be honest, at first, this is probably the best thing to do. However, when the dust settles and you’re in the swing of things with the new job, it’s important to go back to your home lab and continue to push yourself in this area. Perhaps get that next certification level. It’s also important to branch out to other vendors - although Cisco is certainly a big player in the area, having multiple vendors’ certs on your resume is very powerful, not only to make yourself marketable, but to improve your general networking knowledge. A good network engineer is (mostly) vendor-neutral, but highly skilled in many platforms. Second, an effective network engineer is very active in the networking community. Things like Facebook, Twitter, Google Plus, etc. are nice tools to use to keep up to date with news articles, blog posts, and product releases with pretty minimal effort. Another great tool (I use this a lot) is Google Reader. I follow quite a few blogs, all with various purposes and categories, and I use Reader to organize them all. I find that keeping up to date with the “blogosphere” is important as a network engineer because a lot of the blogs I follow post product reviews, and configuration walk-throughs that I am able to turn around and configure on my own home equipment. A network engineer never stops learning, and tries to apply learned concepts in some way immediately upon learning them. If you’re active in the community, and you’re applying learned concepts to your own home lab or simulator, you’re off to a great start. You may be thinking: “I’m just going to be the IT guy for some company, I don’t need communication skills.” STOP IT! That is precisely what nearly every network engineer is tempted with at least once. Communication skills are MUCH MORE VITAL when you’re in a highly technical field like computer networks. These skills are called upon in ANY environment - big or small - in order to align the cost, complexity, functionality and schedule of a network solution with business objectives. When the boss doesn’t understand the technical stuff, it’s on YOU to convey the pertinent information to them. Your job probably depends on it. 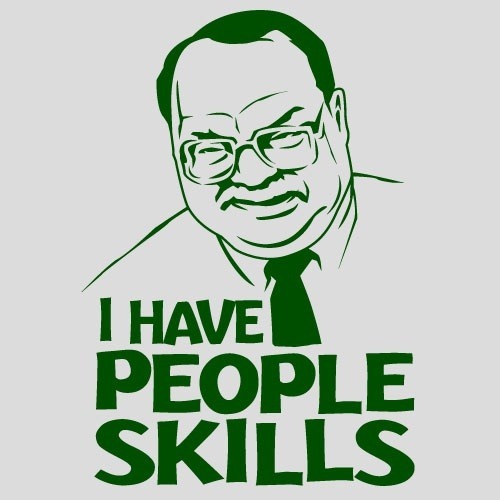 So many times have I seen aspiring IT professionals ignore people skills. An effective engineer will not only be skilled at communicating with those less knowledgeable about networks, but will enjoy those interactions, and approach them with a positive outlook. Attitudes like condescension, and sarcasm may make you feel better than “those silly end-users” for a moment, but it will usually end up with you out of a job. Another point worth mentioning is that “people skills” do not just apply to the mere mortals that are not responsible for running the network - it also applies to your interactions with other IT professionals you work with every day. The design and administration of a network is not a competition - work with your peers to come up with a useful solution together, and your boss will realize that you’re not only a competent networking professional, but also skilled at working on a team. In many cases, those two skills are equally valuable. In deploying a complex network or related solution, the planning process is essential. This can apply to documenting how systems/infrastructure is configured, which is typically done after an implementation, but also includes everything leading up to implementation. Tools like Visio are great for documenting a solution, but honestly, any set of tools will do. The point is to spend the time on developing an exhaustive plan for any solution you’re participating in, and do it right the first time. This trait encapsulates many other processes - things like scalability, redundancy, and security are all extremely important things to consider from the beginning when designing a solution. Other non-technical things are just as important: change management, configuration management, and security documentation are also very important processes that a good network engineer will have experience in. These processes will be second-nature. That’s the top three in my book - I’m sure there’s others, and there’s also many different ways to get to that higher-tier of engineer, but in my experience, I’ve seen several network engineers that I look up to, and based off of their professional behavior, I’ve noticed these traits. If you have any additional thoughts, please share in the comments, or on the Keeping It Classless facebook page!